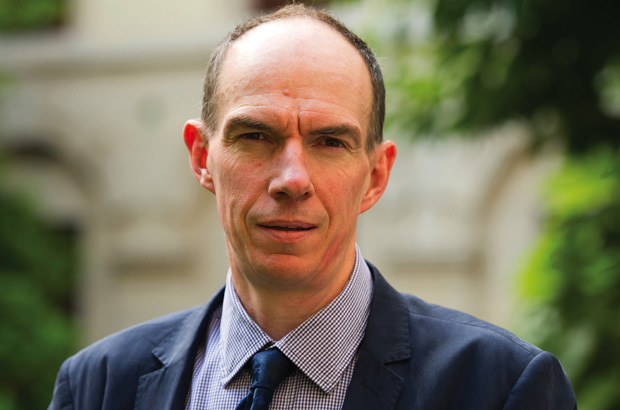 Fiscal credibility is key to managing the economy, explains the Chief Economic Adviser to HM Treasury, in conversation with Sir Richard Lambert. In the end, says Dave Ramsden, it’s all about credibility. The Chief Economic Adviser to the Treasury and Head of the Government Economic Service, Ramsden is talking just a few hours after the Chancellor, George Osborne, has announced details of the spending programme for 2015-16, and the point he is making over and over again is that so long as the financial markets believe you are determined to do what you say you are going to do, you can cope with all kinds of unexpected economic shocks and disappointments. "Having a credible fiscal position – everything flows from that. You’ve seen from the experience of other countries that if your core fiscal strategy isn’t seen as credible, then everything else is at risk," Ramsden says. By contrast the UK Government has kept its fiscal promises, and has been rewarded by the markets even though the headline economic numbers have not turned out as originally hoped. This is Ramsden’s first interview of its kind, and he is anxious to get it right. "I will try to avoid my tendency to go on a bit, so do interrupt me," he urges. But his message is clear. The Treasury’s plans are built on what the IMF has termed a multi-pronged approach to managing the economy – fiscal policy, monetary policy and structural reform, including the rehabilitation of the financial sector. Each is closely linked to the other, and everything depends above all on fiscal credibility. Over the past three years, he goes on, the Government has stuck to its core fiscal plans. Growth has been slower than the Office for Budget Responsibility had forecast back in 2010 thanks to a number of economic shocks. The Euro zone has been through turmoil; rising oil prices have pushed up the pace of inflation with painful results for living standards; the troubles of the financial sector have had a bigger impact than most people had expected. But the Government has pressed ahead with its fiscal consolidation plans. A true Treasury official, Ramsden refers several times to what is obviously a well thumbed page of this year’s Budget book. This shows that the Government’s total plans for fiscal consolidation over the period to 2014-15 amount to £103bn – of which £74bn has already been achieved, through a combination of spending cuts and tax increases. So it’s well on the road to achieving its goals. This determined performance has given credibility to fiscal policy, and allowed policymakers to respond with flexibility to disappointing growth figures. Rather than coming up with even deeper cuts to keep the headline deficit on track in the face of a weak economy, the Treasury has allowed the so-called "automatic stabilisers" to operate – rising benefit payments and falling tax receipts that cost the Exchequer money, but which help to ease the pain during tough economic times. Investors have not panicked at the resulting increase in the deficit figures, because they have confidence in policymakers’ determination to get the numbers back on track over time. "The headline deficit has been much higher than forecast, and you might think that the markets would be challenging that with the result that it would cost us more to finance the debt," Ramsden says. "But we haven’t seen that." Indeed, the Government has just succeeded in borrowing money for the extraordinarily long period of 55 years at a rate of just 3.6 percent. That wouldn’t have been possible if the markets did not believe that the UK was determined to get its public finances back into shape. On the fiscal side, we are delivering on the plans. That doesn’t mean the deficit works out as forecast because the automatic stabilizers have been allowed to kick in. But investors can see that the commitment is being turned into action, and today’s events – announcing the details of the spending round - will be seen as further reinforcement of credibility. Ramsden adds that many countries would be surprised that the UK is setting out detailed spending plans for three years into the future – after all, quite a lot of big economies look no more than 12 months ahead. But this approach further adds to credibility and creates a kind of virtuous circle. "We have the institutions here – including the parliamentary institutions – that mean you can set out plans that far ahead, and they can be delivered." And that brings added benefits. Over the next Parliament the Government will spend at least £300 billion of capital. The Chancellor and Chief Secretary in the recent Spending Round set out specific commitments for over £100 billion of that. This has allowed the Government to commit to the biggest programme of road enhancements since the 1970s. Ramsden observes: "that’s typically very high value added." Delivering that programme would mean that the public sector share of investment in the current decade would be higher than in the last despite having to deal with a massive hole in the public finances. This should bring encouragement to the private sector. "One of the things that’s very obvious is that private sector investment, which is going to be the driver of the economy, is very subdued. So it’s important to give the private sector more certainty in terms of the public sector’s plans, whether it’s directly on road building to improve the efficiency of transportation, or by setting out more of a framework for what’s happening in the energy market." Ramsden reminds us that what the Chancellor has just announced are measures that will be required to meet the Office for Budget Responsibility’s forecast for 2015-16, which is still a deficit as high as 5 percent of gross domestic product, and overall borrowing on the public sector net debt measure of around £1.5 trillion. "And that’s why credibility is so important. What would really put certainty at risk would be if there was a loss of confidence in the Government’s finances." The fact that the economy now appears to be stabilising and may be picking up speed a little will provide a more supportive backdrop to continuing with the consolidation – but continue it will have to, for a while longer. On current plans, the public finances should be on a sustainable path by 2017-18 – but at that point the UK will still have very high levels of outstanding debt, at least by recent standards. So life in the public sector is not going to get a whole lot easier anytime soon. So on to the second prong of the macro-economic strategy, which is the management of monetary policy. But this too is dependent on policymakers sticking to their promises on the fiscal side. "Fiscal credibility also means that the monetary authority can concentrate on supporting the economy rather than worrying about whether there is going to be a loss of confidence," Ramsden says. And the Bank of England has been able to take advantage of that: tight fiscal policy has at least partly been offset by extraordinarily loose monetary policy, with the official interest rate close to zero and £375 billion injected into the economy by the Bank’s purchase of Government debt through its quantitative easing programme. Ramsden chooses his words carefully – the Bank of England has cherished its independence for the past 16 years, and would not take kindly to any hint that the Treasury might be seeking to influence its affairs. But he makes three points which are relevant to the current economic conjuncture. One is his suggestion that if there is still a lot of spare capacity in the economy, with unemployment above any definition of equilibrium over the medium term, then the implication is that there should be no need to tighten policy for a considerable time. So long as there is slack to be taken up, output can rise without creating the kind of inflationary bottlenecks that would trigger the need for higher rates. The second is that there is still firepower left in monetary policy, even after the expansionary policies of recent years. Ramsden says that the Monetary Policy Committee has repeatedly emphasised this point in the minutes of its monthly meetings, and now has a new instrument in its toolkit in the shape of the Funding for Lending scheme. Finally, he emphasises the important role of good communications in the way that central banks shape market expectations about the future direction of policy. He doesn’t talk specifically about the new Bank Governor, but he is obviously very interested in what the Bank is due to announce in August, and whether it intends to set out more detailed guidelines about how it will react to economic developments in the future. So finally to the structural side of the economy, starting with the labour market. The performance here has exceeded all expectations, with private sector employment rising despite the steep fall in output. This, says Ramsden, is the result of 30 years of reforms going all the way back to the 1980s, and he contrasts the fact that participation in the labour market has held up well in the UK with the way it has dropped sharply in the US. It’s true that the result has been a steep fall in productivity in this country. "Economists always grapple with the notion of efficiency versus that of equity," he says. "But relatively low unemployment and relatively low productivity is a better welfare outcome than higher productivity and higher unemployment." As we learnt in the recessions of the 1980s and 1990s, the longer people stay out of work, the harder it becomes for them to get a decent job. A big structural challenge now is the future shape of the banking system. "One of the things the Chancellor made clear in his Mansion House speech is the importance of looking at whether the banking sector is playing its normal role in allocating capital to the right parts of the economy." And of course there are also the big questions about how best to return the taxpayers’ shareholding in the Royal Bank of Scotland and Lloyds Banking Group to privatesector ownership. So there’s lots still to be done to deliver all three prongs of the Government’s economic strategy. But is there anything in all this to cheer up civil servants? After all, they’ve just had to work through another round of painful cuts, and they understand there’s more to come. They know there will be pressure on their pay and numbers for quite a while. What’s there to look forward to? Ramsden stresses that he understands the challenges faced by civil servants. But talking about the Treasury and the 1,500 members of the Government Economic Service, he says there is an enormous demand for quality policy advice and analysis of a kind that has a real impact on life in this country. For example, government economists have looked at all the capital projects that the Chancellor has just announced to make sure they will bring high returns on the investment. He hopes that when they see the news and read about the outcomes, civil servants in all departments will be able to feel that they’ve made a real contribution. "In a sense, that’s why we are all doing it. We are here because we want to make a difference to policy outcomes – whether it’s the kind of work the Treasury does, or delivering the policy in the way that most civil servants do." "So that," Dave Ramsden concludes, "would be my pitch."